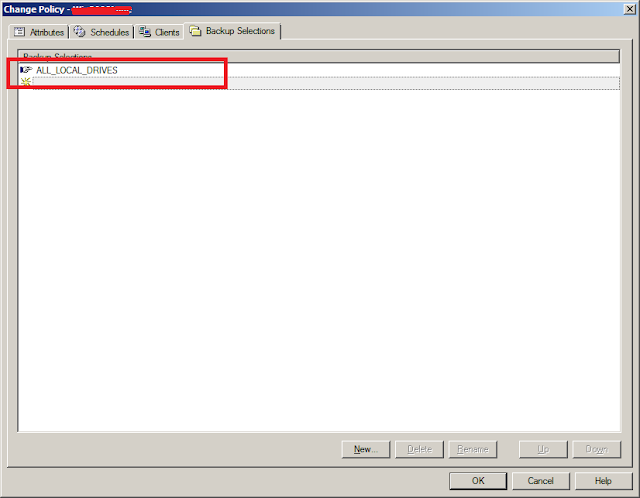 Bare metal restore is the most important feature on NetBackup software, it helps to restore the data on the computer without having previously installed software or operating system. Bare Metal restore requires the following. The following is to perform a bare metal restore on a same machine which went down, Netbackup verify the ip address, client name and Mac address before restoring the client. It also requires reverse DNS to restore client. 1. Symantec Bare Metal Server Setup. 4. Symantec NetBackup Boot CD. 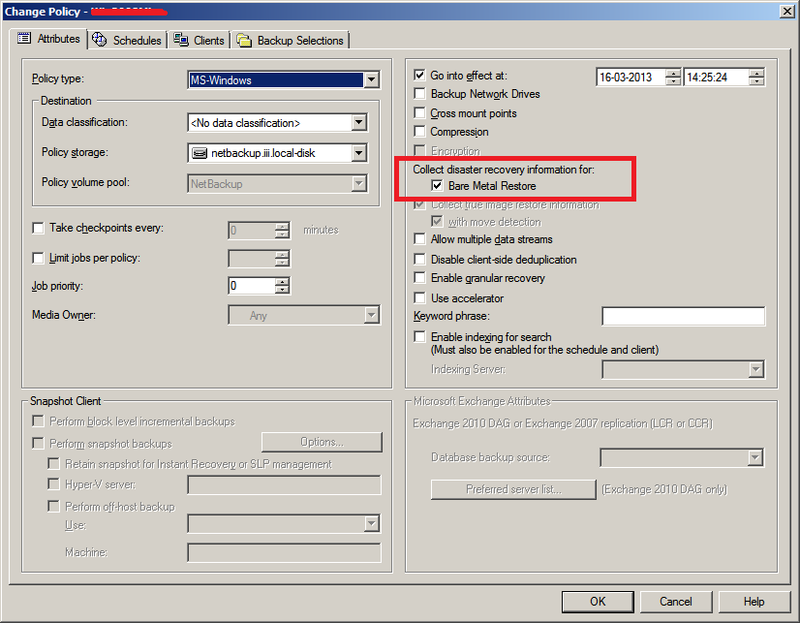 Make sure that backup policy has bare metal restore option checked. Optional to backup all drives. 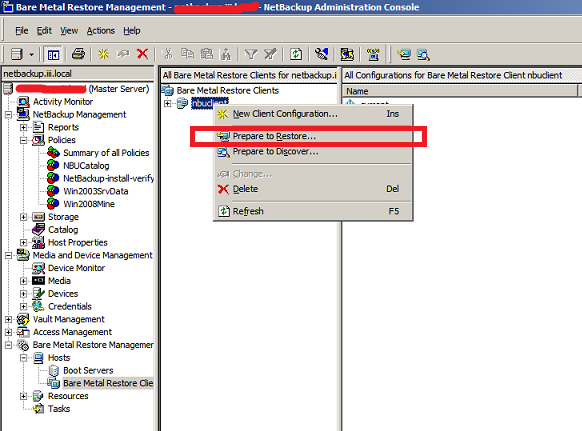 If you have both option enabled on a backup policy, backup client will be displayed on Bare Metal Restore client after a completion of Full backup. 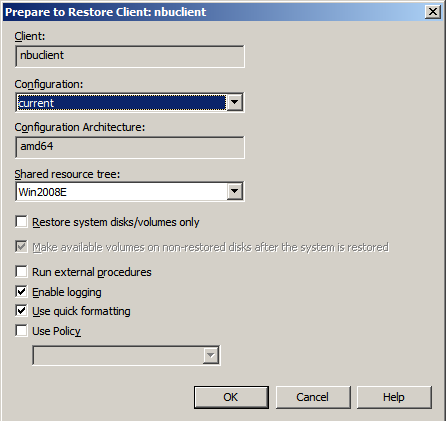 Right click on a client which you want to restore and select Prepare To Restore.. Select the configuration, shared resource tree and then click ok, shared resource tree must be created before restoring and should match with architecture of a machine ie 64 bit as per below configuration. Once its successful, it will display the pop. Now create a Symantec Boot CD to restore the above client.